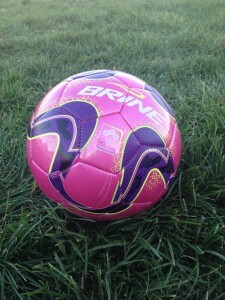 This is a picture of my kid’s soccer ball…yeah, she likes pink. One of the things I love about homeschoolers is that they tend to be mavericks. Need to get out of the house? Let’s figure out a field trip co-op! Want to play an instrument? Let’s start up a children’s orchestra! 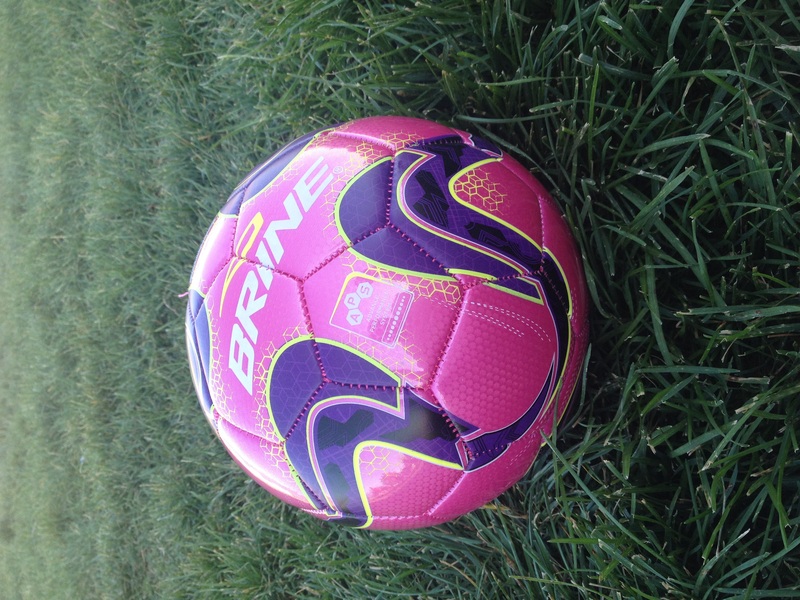 Feel like kicking around a soccer ball? Let’s create our own soccer league! That last one is a sight to behold. Today was the first day of our homeschool soccer club. Each week the kids practice skills for 30 minutes and then play against another team for a 30-min game. We have six teams total, with about 10-12 kids on each team. The teams are separated by age (two teams are made up of 3-5-year-olds, two are for the 6-8-year-olds, and the last two are the 9-12-year-olds), and each team has two to three coaches. These volunteer coaches are homeschooling parents, obviously, and they serve as the referees of the games as well. Anyway, using my rusty math skills, this means there will be about 75 homeschoolers milling around on the soccer fields each Thursday through the end of October. (It’s closer to 100 if you count the parents on the sidelines and the extra children not playing). That’s a lot of homeschoolers in one place. At least, it is for us. Since I’m one of the substitute coaches, today I had the opportunity to watch the teams from the sidelines. Yes, it wasn’t well organized, and I heard more than one volunteer coach say “What do I do again?” while the kids played their first game. And there was a lot of general confusion on the field since so many of the kids had never played soccer before. But the best part was watching the smiles on the kids faces. Because this league is not about winning or seeing who has the best soccer skills. This is all about having some fun together with other homeschoolers. And, in true homeschool fashion, the toddlers helped out as well. One coach gave her two-year-old the whistle, and sure enough, that little girl blew and blew and blew…all through the game of the oldest teams. I watched as all the parents smiled at the little girl. The kids on the field didn’t seem to care, either. They’re used to the babies being part of the fun. At the end of the day, my kids said goodbye to their new friends, hopped in my car, and said they were tired but they’d had fun. I call that a success. Oh, and the team name for my oldest two: the Storm Troopers. My Star Wars obsessed husband will be so proud. Check out Kids Play Soccer for the basic rules of soccer. Try Coaching Soccer 101 for some basic tips on coaching kids. Go here for a YouTube playlist of beginning soccer drills.